Well, schucks! 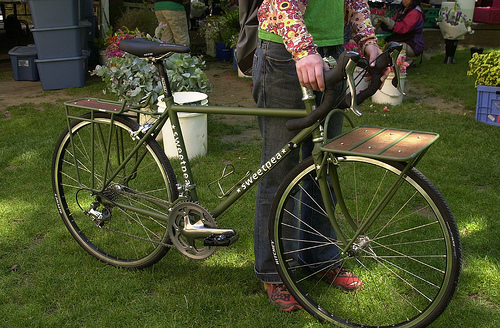 Sweetpea Bicycles is officially flattered. Thanks for the kind words! Oooh! I like that front platform–really cute bike! My daughter and I have Kona Utes (longtails). Found you on Spoonflower. LOVE your designs! !